Yavatmal: A man-eater tigress, Avni who was believed to be responsible for the deaths of 13 villagers in the Pandharkawada forest over the last two years, was shot dead in Maharashtra’s Yavatmal on Friday night as part of an operation, police said. The 5-year-old big cat, Avni, officially known as T1 was shot dead in cold blood on bait without any tranquilizing efforts by Hyderabad-based sharp shooter Nawab Shafath Ali Khan’s son Asghar around 11 pm on Friday. The forest department violated its own order upheld by high court and the Supreme Court, which stated that before eliminating the tigress the tranquillizing efforts should be performed. Post-mortem of Avni will be conducted at Nagpur’s Gorewada Rescue Centre. Avni is survived by her two cubs who are 10 months old. The whereabouts of cubs of T1 are unknown. Avni was first spotted in the forests of Yavatmal in 2012. Locals in Yavatmal celebrated the killing of Avni. 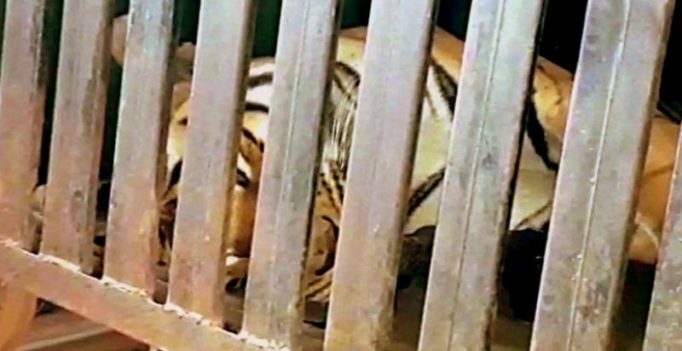 In September this year, the Supreme Court had said Avni could be shot at sight, which prompted a flurry of online petitions seeking pardon for the tigress. For more than three months, Forest Department officials were planning to catch her with the help of latest technology. Trained sniffer dogs, trap cameras, drones and a hang-glider, expert trackers, sharp-shooters and around 200 ground personnel were roped in for the task. On Friday, the Forest Department carried out the operation in Borati with the help of sharp-shooter Asgar Ali. 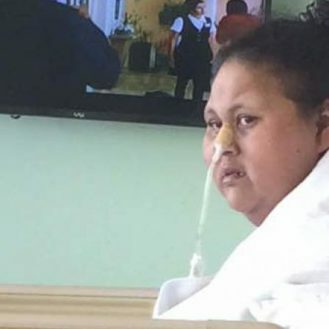 “Urine of another tigress and American perfume was spread in some part of the compartment, following which Avni came by sniffing it,” a official told news agency PTI. “The forest officials initially tried to nab her alive. However, due to dense forest and darkness, they were unable to do so and finally a bullet was fired in which the tigress fell on the spot,” the official said. “After she became motionless, forest officials went closer to her and later rushed her to a hospital in Nagpur, where she was declared dead,” the official added. In October, an elephant that was part of a group hunting a man-eating tigress in Maharashtra ran astray overnight and trampled a woman to death.